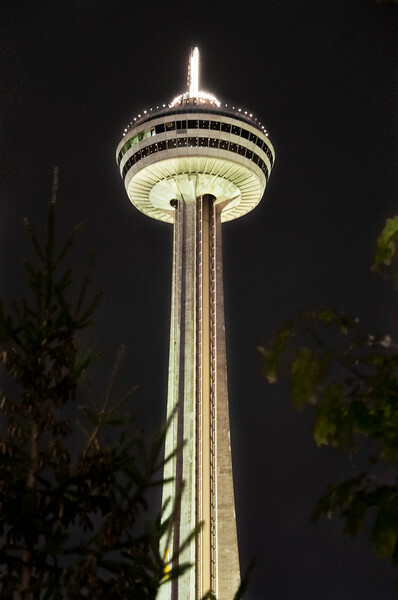 With my first post in June 2013 I am marking a new type of Image post that I am going to start, Night Photography. I am not going to spend a lot of time describing how to take pictures at night. You can read about that a dozen places or more on the internet. Instead I will just post a picture and hopefully that will inspire you to stick around after dark to take a few more pictures. 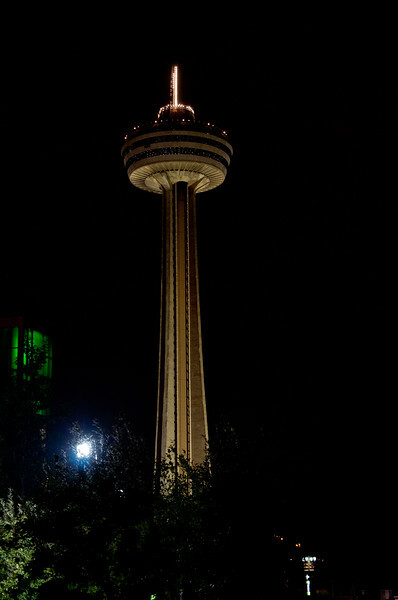 As the map below informs you, the Skylon Tower is in Niagara Falls, Canada. I shot the above picture on a Nikon D90 at ISO 1600 without Flash. The exposure was .6 seconds (6/10) at f / 4.8. It was a hand held shot. A few things I will add is that; 1) the Moon can be your friend to provide the extra light you might need, but if you are trying to capture the stars the Moon can be your enemy. Pick your night for the subject matter you want to shoot, 2) buy a tripod if you want to get serious about night photography, 3) I have a very small LED flashlight in my camera bag and I need it to ready my camera settings or just look around where I am at!